VR Zone delivers word that AMD's mobile Radeon HD 7000 series will be revealed tomorrow. Pitcairn (HD 7800 on desktop) will become the Radeon HD 7900M series, Cape Verde (Radeon HD 7700) will be released as Radeon HD 7800M and the Trinity APU will occupy the Radeon HD 7600M and 7700M lines. The parts will debut on April 24, and will be a part of onslaught with NVIDIA Kepler GPUs to win as much notebook discrete design wins as possible. 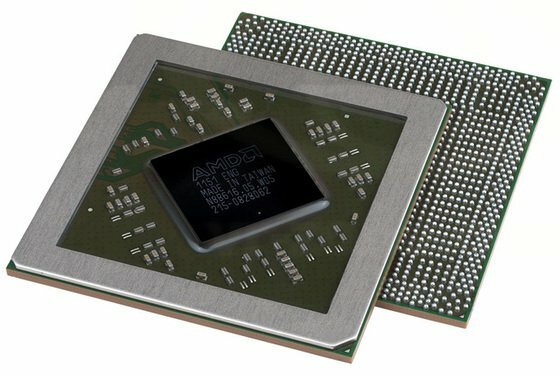 AMD has an advantage over NVIDIA with a record number of Trinity APU and Trinity APU+Lombok GPU design wins. However, NVIDIA won over a large number of Ivy Bridge+Kepler design wins, meaning that the battle will be as tough in 2012 as it was in 2011. A lot of it relies on just how many discrete parts NVIDIA and AMD can swing to Apple, but according to our sources - this time around, it is advantage NVIDIA.